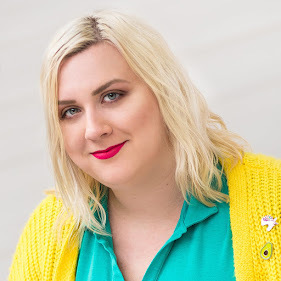 Hello lovelies, I am super excited to finally try out my new Lawn Fawn goodies! YIP-PEA! I have lots of favorites but look at these sweet peas! Oh so yummy! 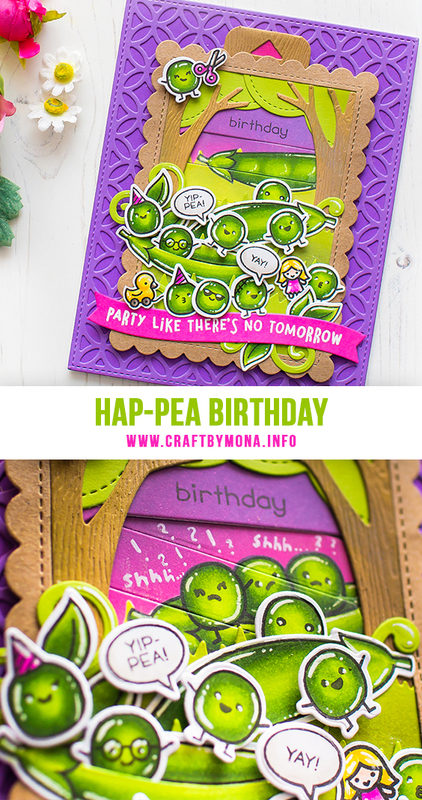 I made an interactive card with the Be Hap-pea stamp set and of course with the amazing picture changer die. As you can see I used lot's of cute Lawn Fawn things, so you can find all the used supplies below. I started the card making with Die-cutting. Just look this amazing Fancy Lattice Backdrop! 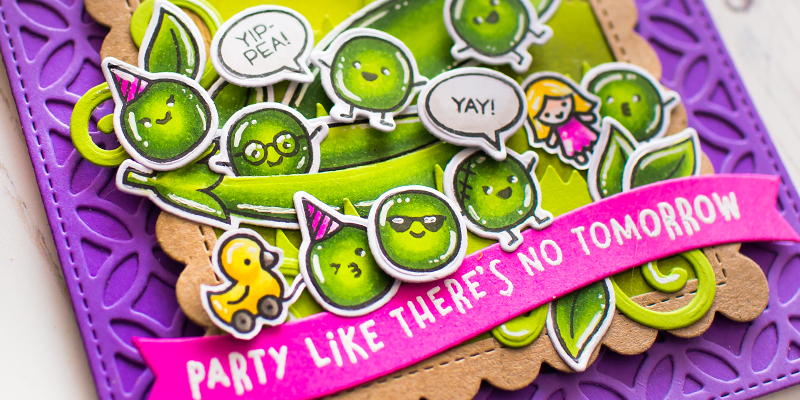 I used the amazing Sugarplum paper for the Die-cut and for the background, love this vibrant purple color and for the green peas it's just perfect! When it was done I made lots of stamping, coloring and Die-cutting with the images! For the coloring I used my Copic markers, I also made a shot for you about the used colors. When it was done I made the interactive element for my card with the Picture Changer Die. When It was done I built up my scene with the Shadowbox add-on die. I also used the Stitched Scalloped Frames Dies (the 2nd largest). In the end I styled my card!